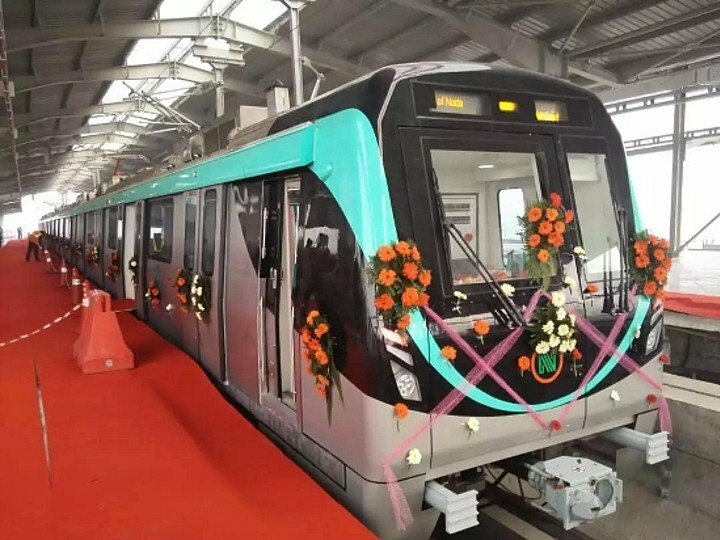 The Aqua Line connecting the twin cities of Noida and Greater Noida is expected to become operational in October 2018 after all the safety checks. 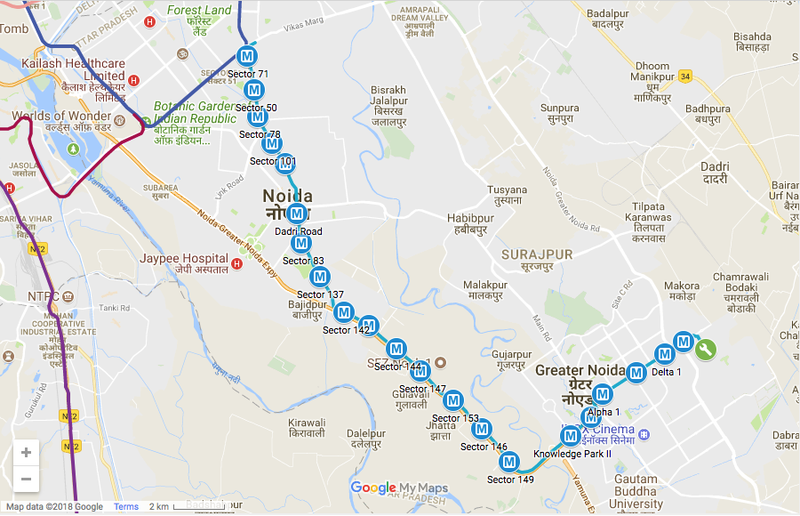 Noida: The Aqua Line connecting the twin cities of Noida and Greater Noida is expected to become operational in October 2018. After missing the deadline for the month of September, Noida Metro Rail Corporation (NMRC) said on Friday that they would be sending final request for the final inspection by commissioner for metro rail safety by September end and it’s expected that the network shall be operational in October. Officials said Aqua line would be a Diwali Gift for commuters. According to NMRC officials, six remaining trains are expected to arrive from China by September-end. The Aqua Line requires 11 trains for the track to open, only five trains have reached so far. “We are hopeful of completing the signalling work by September-end after which we are likely to invite the CMRS for the final inspection. That takes 15 days normally but can also take longer,” NMRC managing director Alok Tandon said. Garg said the rolling stock work was 40% complete, track work 100%, signalling and telecom 80%, electrical 92% and civil was 99% complete. He said this while explaining physical progress of the work.